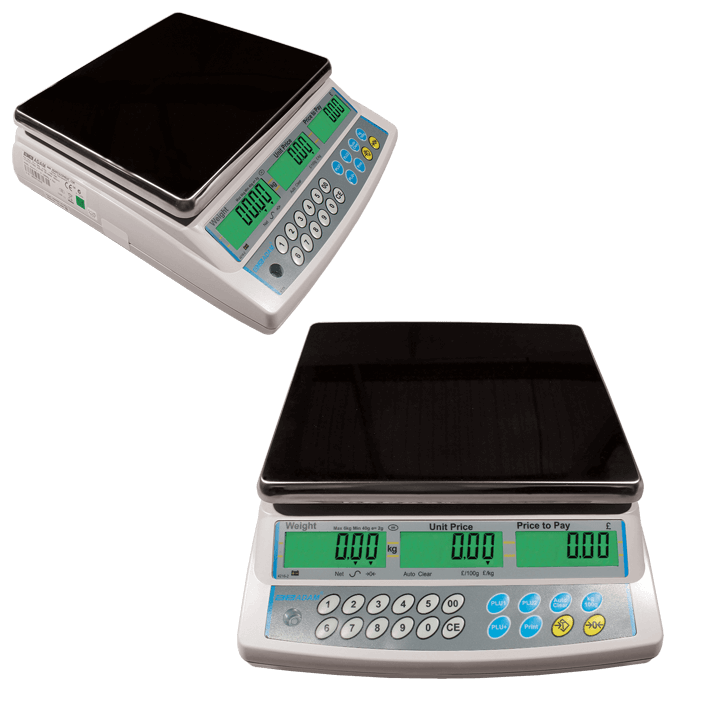 Adam's price computing scales are easy to operate, facilitating smooth and efficient transactions for users and customers. With large backlit displays that show weight, price per unit, and total cost, the scales speed up the entire process by simultaneously showing information to customer and operator. Easy to maintain, the scales offer stainless steel pans and optional weighing scoops that withstand frequent cleaning required in tasks such as weighing meat, produce or fish at fishmongers, butcher's shop or on market stalls. Our price computing scales feature NMI trade approvals for buying and selling food products by weight, making for excellent bakery and butcher scales. Traders that sell products in containers that specify a weight on the label, such as ice cream shops that sell ice cream in tubs, also need to ensure that they are using a trade approved price computing scale to ensure that each tub meets the specified weight stated on the label. Our price computing scales use an AC adapter or battery, so they can operate where electricity isn't available. Rubber feet offer stability on desks, tables, counter-tops or unsteady surfaces, resulting in consistent, accurate readings. RS-232 interface is available on the scales, allowing information to be transmitted to a printer or computer.